Sorry for the delay. The Mythbusters have been and still are in Hawaii. We are doing some research while we’re here, seeing as that was the purpose of our journey. To answer the question you all our wondering, there is Maui Wowie in Hawaii. But, can you ever trust a name a shady drug dealer gives you? We checked out Oahu, and it’s a stoner’s paradise. We’re on the big island now, looking into some farms and other agricultural undertakings. And, we’re going to wrap up ( or maybe it would be more appropriate to say roll up) our trip on Maui. Upon our return we’ll get all our findings up here. Aloha! 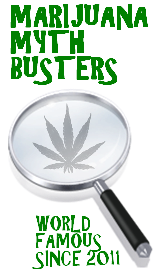 This entry was posted by Mythbuster on July 20, 2011 at 11:23 am, and is filed under General Ganja. Follow any responses to this post through RSS 2.0.You can leave a response or trackback from your own site.